Windowsill Cactus specializes in cactus seed starting kits. Our mission is to encourage people who love growing plants to have interest in cacti by by helping to provide a positive growing experience with cactus seeds and seedlings. We believe our cactus seed starting medium, Metamorphosisenips 4.0 is better than other growing medium for starting cactus and succulent seeds. This medium is designed for both starting and growing seedlings through the Juvenal stage of life. Seedlings can continue to grow in the seed starting kits for 2-3 years, and then transplanted into their own flower pots. The seeds we sell include a growing system kit with materials for germinating cactus seeds, and maintaining them as juvenile plants for the first 2-3 years except water. We recommend using either distilled or filtered water and avoid most unfiltered tap and/or well water. 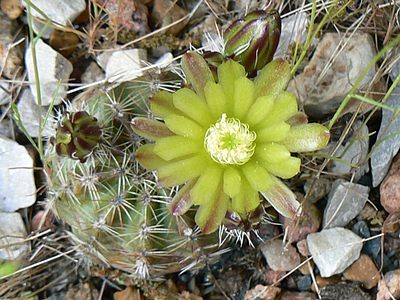 The survival of some plant species now depends on people growing and propagating them, but it is our hope to encourage people in becoming more interested in preserving species of cacti by propagation. Some plants are more easily propagated from by rooting; stem cuttings, offsets or leaves. The live plants offered on this website are mostly in the scope of species which reproduce better by means other than seeds. We have experimented with growing seeds and cacti in a wide range of ingredients from 2004 to present, but have worked to avoid using rare volcanic rock materials like obsidian and pumice. The lighter weight volcanic materials are increasingly in demand, and rare rock formations are often destroyed to make these materials available for horticulture use. The more common rock forms we are using include; clean sand, granite and quartzite while the small amounts of organic materials are derived from a renewable source. Fallen tree leaves are subjected to a 3 year fermentation process in combination with, and including the rock ingredients to produce the seed starting medium. Plant care information on this website may vary in its usefulness to people who grow cactus plants based on a persons experience and the climate where they live. The content of care for these plants may be most relevant to people who live in colder four season climate situations. Succulents and cactus plants are especially beautiful and intriguing for anyone who loves to keep house plants in their living spaces - Happy Growing.